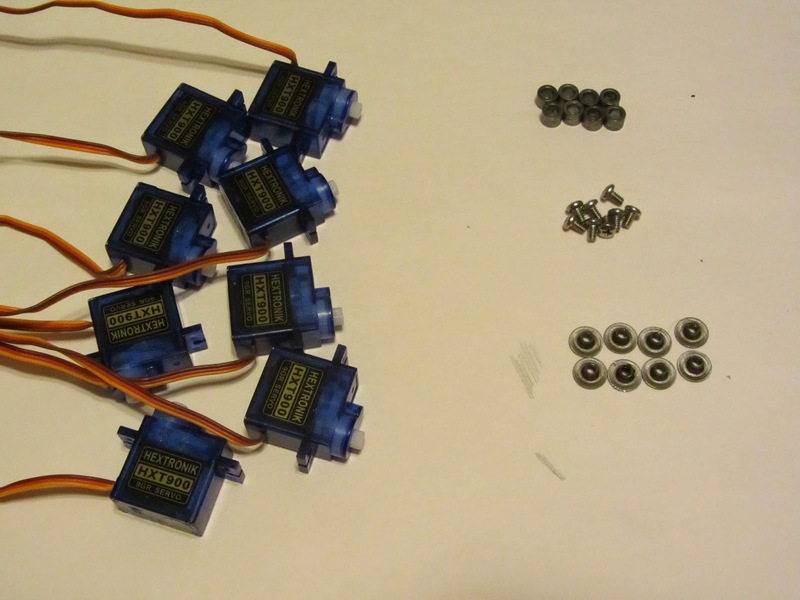 Several years ago when looking for cheap servos to use for my walking robot I purchased a handful of HXT900 micro servos from HobbyKing. They seemed like an incredible deal for less than $3 each, but after brief experimenting I gave up on them. They were very jittery, not terribly strong, and when run at 6V the motor would burn out quickly if the output was stalled. I tossed them in the junk box and forgot about them, writing them off as not usable for my robots. Later, at Makerfaire NYC I talked to a maker who was developing kits for a hexapod robot that used 18 HXT900 servos, who had been having some success getting them to work. I also some very impressive projects online of robots based on these servos, which was enough to make me reconsider my first impression. My old quadruped walking robot was completely wrecked from many weekends of running demos, so I decided to build a completely new one from scratch based around the HXT900 servos. 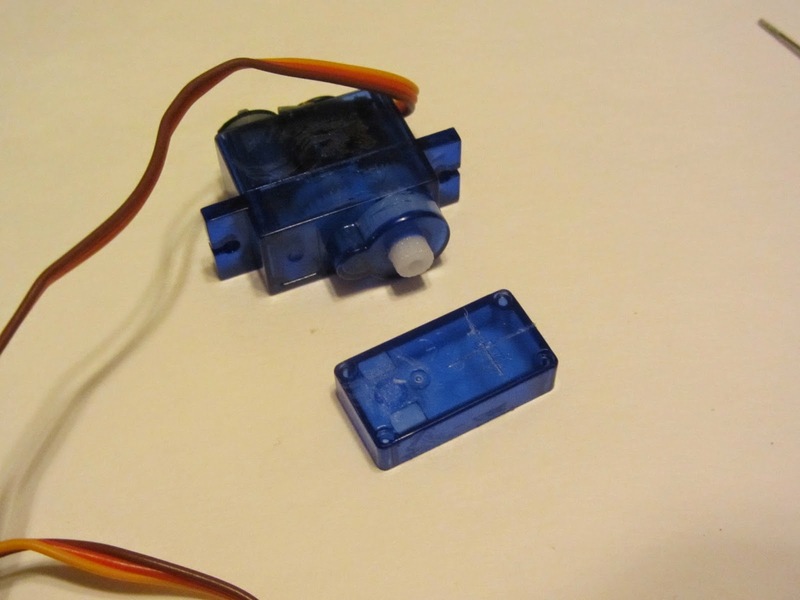 The first thing I needed to do with these servos was add a second hinge point to them. The knee design my robot has uses the servo case as half the hinge joint. I'm using the same design as on the previous robot, but scaled down, using a 4-40 weld nut, 1/4" OD spacer, and 4-40 machine screw for each servo. The first thing that needs to be done is completely removing all the stickers from the outside of each servo. They'll prevent you from opening the case, and the tolerances on my design were tight enough that the stickers were being damaged when I installed the servos into the prototype chassis anyway. The hole for the rear axle needs to be directly opposite the output shaft. In theory I should have made up a jig for this, but just eyeballing it seemed to be close enough. The hole doesn't precisely locate the axle point anyway, so it only needs to be approximate. 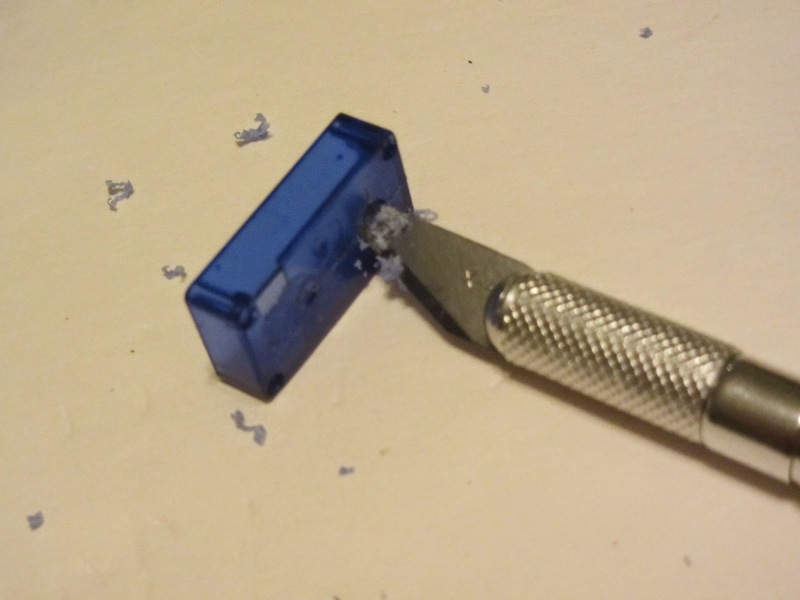 For plastic this thin, a drill bit would be overkill, and would probably risk shattering the case. I used a good sharp Exacto knife to carve out the hole. Again, the diameter of the hole is not critical, it just needs to be large enough to clear the barrel on the weld nut. 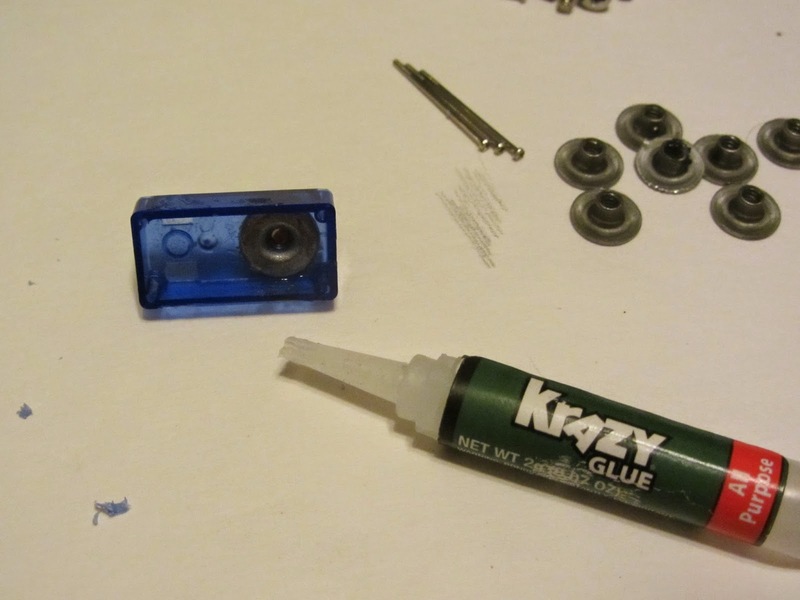 Then glue a weld nut to the inside of each servo case. The weld nuts I used just barely fit inside the rear of the servo case. 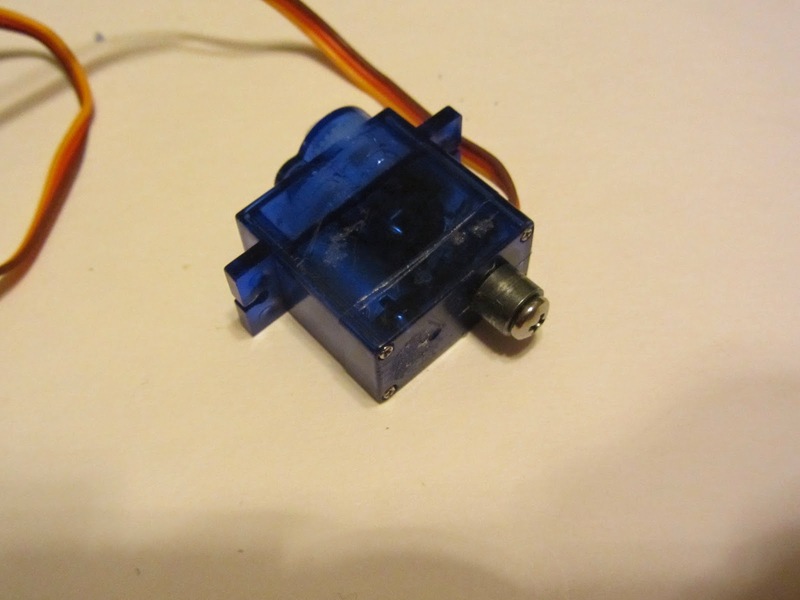 This helped with alignment - the sides of the servo case held the nut in place, so the position of the hole in the case didn't really matter so much. You'll also want to make sure to remove any inspection sticker or other residue from the inside of the case before this step so the glue bonds effectively. The spacer and screw are then temporarily put on to help clamp the weld nut against the inside of the case while the glue sets. I'll be having to remove them later to install the servo in the knee joint. Finally here are two of the servos (pre-modification) installed in a test prototype for the new 3D-printed knee joint, next tot he same structure on the old robot. You can see that the new design will be much smaller and lighter weight. I'll also be taking a lot of advantage of the 3D printer's ability to make complex arbitrary shapes for the new robot's structure.